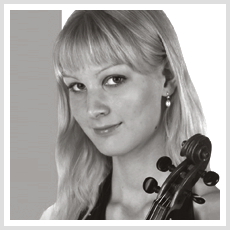 Taissia Sokolova is an outstanding violist from Russia. Sokolova studied with Elena Ozol at the Gnessins Academy Special Secondary Music School in Moscow, Russia and recently completed the program at the Colburn School Academy in Los Angeles where she studied under master violist and renown teacher Paul Coletti. Sokolova began studying violin in 1995 with Alla Murugova, then Zoya Noskova and Valentina Korolkova before switching her studies to viola under Ozol in 2004. She also spent a year with Roman Balashov and attended master classes with Yury Bashmet and Arnold Steinhardt. 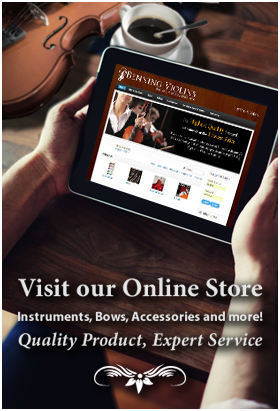 Sokolova earned a Diploma of the International Competition of young performers "21st Century Art" (solo string instruments) in Kiev, Ukraine in 2008 and was Laureate of the II prize of the International Competition of young performers "21st Century Art" (solo string instruments) in Kiev, Ukraine the next year. In 2009, she received a Diploma of XIV Competition of String Music "Magic Violin" after Y. Gurevich in Russia. Taissia Sokolova has appeared on stage as a soloist with the Chamber Youth Orchestra at the Istanbul International Youth Music Festival as well as a recitalist.